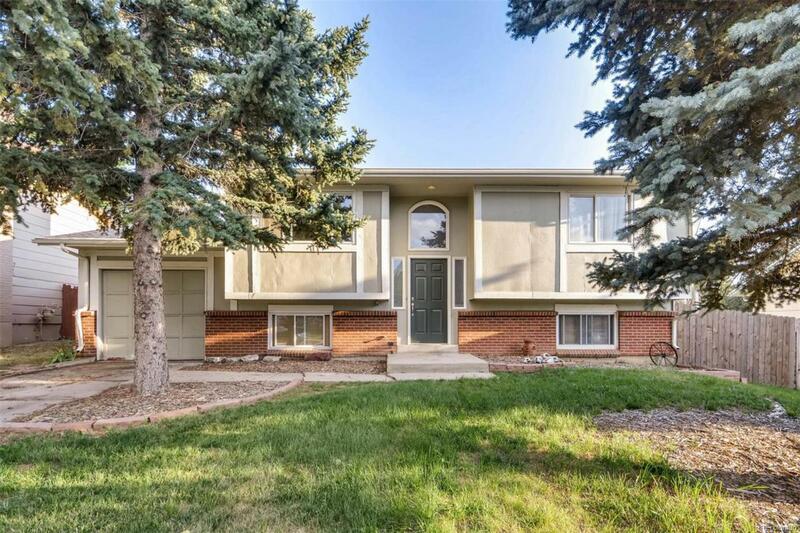 Beautiful and bright home on a quiet cul-de-sac in Aurora. Home boasts 4 bedrooms, 2 bathrooms with a fully finished basement. Skylights bring in the Colorado sunshine while multiple lights throughout keep it bright at night. Basement offers a family room with a fireplace, 2 bedrooms and 1 bath. Main floor features 2 bedrooms, 1 bath, 40" Stainless Steel Range/Oven in kitchen. Slider opens from kitchen to large deck with mountain views. Nice sized backyard for family and friends to enjoy.